How can you plan for an amazing outdoor home project? As the year draws to a close, you may be thinking about all the fun you can have when the warm weather comes around again. You may also be thinking about how you can improve your outdoor living space to create and even more perfect hideaway that you can enjoy in the spring and summer. Planning for an outdoor home project can be a hefty undertaking, but when you have the right plan, you can ensure a smooth renovation or installation. Start with a clear vision for your outdoor project. What do you want to add to your outdoor living space? There are dozens of things that you could update or add to your pool or backyard, but you should first identify if you want more utility or more aesthetic value. Things like outdoor kitchens, pool houses, and patios are going to be practical additions to your home whereas things like waterfalls and updates in LED lights are going to be of more aesthetic value. This is not to say that practical features cannot add aesthetic value and vice versa; they absolutely will. You just need to evaluate which aspects of your renovations and upgrades are the most important to you so that you can make informed decisions down the line. This is the time to dream big and imagine how you can renovate to create the perfect outdoor space. Sharpen your plans with a strong budget. 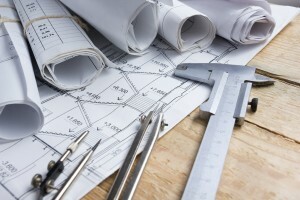 A budget is one of the most important aspects of a plan for an outdoor home project. Once you have your vision, you can start to hone in on how you can make it happen. How much are you willing to spend to make your dreams come true? You should also always include some cushion into your budget for in case you need it. It’s better to have it than to not have it and need it. When you consult with us on your dreams and ideas, we can help you figure out the time frame and costs so that together, we can make your home into your dream home. This entry was posted on Thursday, November 17th, 2016 at 2:53 pm. Both comments and pings are currently closed.